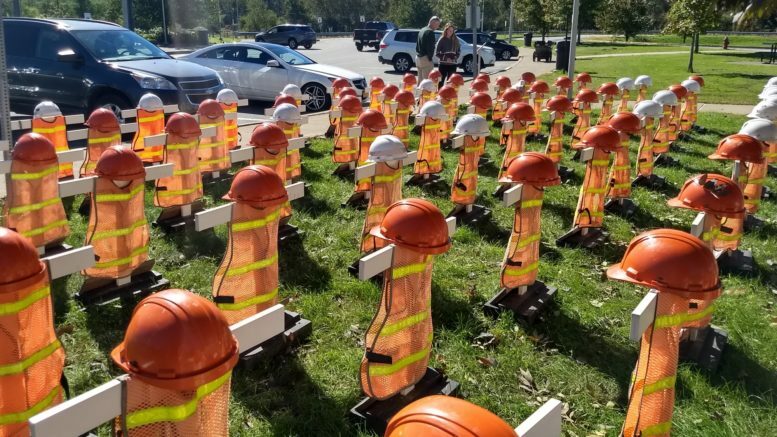 Travelers stopping at the Great Bend Welcome Center off Interstate 81 were able to view the PennDOT Workers’ Memorial that was on display there over the holiday weekend. The memorial features the name of 89 PennDOT workers that have been killed on the job. Motorists were urged to use caution while traveling during the Driver Safety Awareness Day held Friday at the Welcome Center. 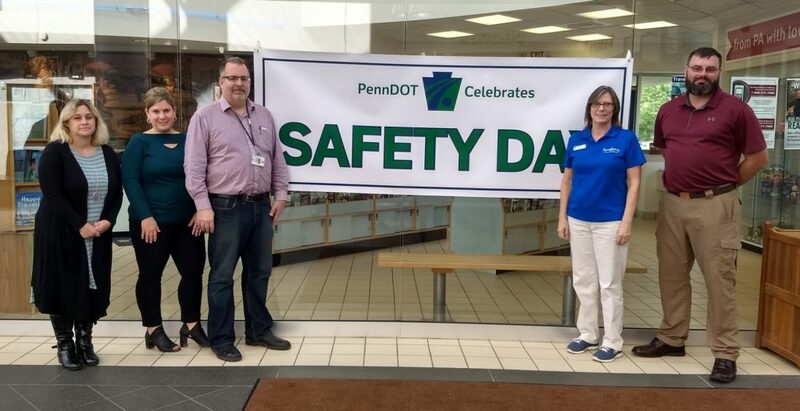 PennDOT, along with the Northeast Highway Safety program, hosted a Driver Safety Awareness Day on Friday, Oct. 5, at the Great Bend Welcome Center. 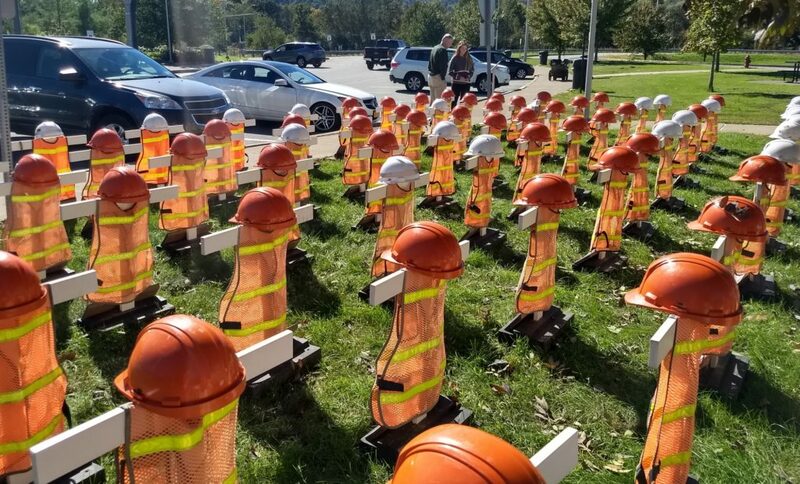 The PennDOT Workers’ Memorial – representing 89 workers who were killed on the job in a workzone – was on display outside the Welcome Center as a visual reminder to motorists to use caution when driving through construction areas. Michael Taluto, PennDOT Safety Press Officer, said the focus of the day was to promote workzone safety. He also said a number of initiatives were happening this fall motorists should be aware of – such as back-to-school, teen driving and car seat safety. Taluto also warned drivers to be aware of hazards including increased deer in the roadways, sun glare, and wet leaves on roads. He also reminded motorists to heed “road closed” signs, noting a driver could be fined for driving on closed roadways. Alex Magee, of the PA Motorcycle Safety Program, was also on-hand Friday promoting the program that offers rider training courses at all levels – from an introductory course to advanced skills. Northeast Highway Safety reps Keri Kline and Rebecca Rybak reminded motorists to stay safe on the roadways during the holiday weekend, offering up seatbelt, speed limit and cellphone use information. Great Bend Welcome Center Supervisor Lura McCarey said the center is a source of information, not only for I-81 travelers, but also for local residents. A wide assortment of travel guides for planning trips in the state are available at the Welcome Center. Be the first to comment on "PennDOT hosts Safety Day"